ctable so always bring extra layers to add or shed along the trail! With a number of activities available on site and nearby - as well as a number of places to eat, we wanted to find out additional information about this resort which really caters to any guest that is taking time here. ATHLEISURE MAG: Tell us about Stowe Mountain Lodge - who is drawn to this resort during the year? STOWE MOUNTAIN LODGE: Stowe Mountain Lodge at Spruce Peak is for everyone – Families, friends, couples someone looking for a solo adventure. premier slopeside resort in the East, so as you can imagine winter is definitely the busiest time of year. 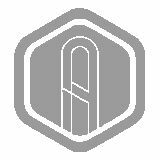 Having said that, we are a four season resort with two golf courses and the Spruce Peak Outfitters that creates daily adventures year round. 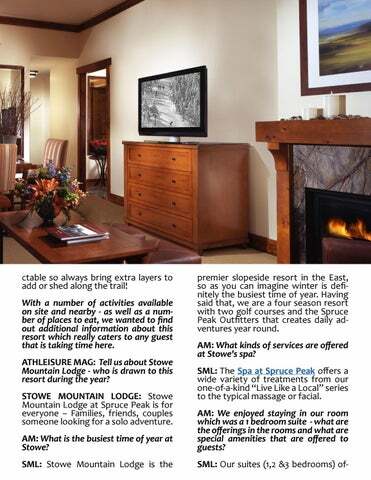 AM: What kinds of services are offered at Stowe's spa? SML: The Spa at Spruce Peak offers a wide variety of treatments from our one-of-a-kind “Live Like a Local” series to the typical massage or facial.